Zoe Tuazon and Aica Tabayoyong are genius childhood best friends suddenly become competitor for campus athlete Mark Ferrer. Zoe Tuazon a rich, an over-weighted and aggressive mestiza, where as Aica Tabayoyong is a poor nerdy student with a bad case of teenage acne and nearsightedness. Zoe and Aica each undergo cosmetic surgery in order to outsmart and outclass each other become ravishing vixens engaged in ugly confrontations. 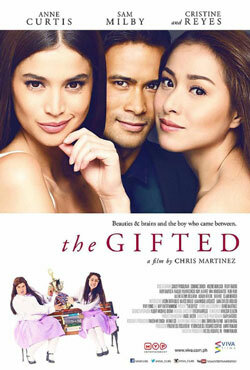 Awards & Nominations Won by "The Gifted Movie"
Box Office Earning of "The Gifted"